So much conjecture lies around every single foodstuff, it can be difficult to trust what is good for you and what is not. Meanwhile, the media continues to report untenable figures of obesity in children and young people whilst visible, challenging links are drawn to poor physical health and poor mental health. It means parents and governing bodies are more motivated than ever to encourage kids to get involved in sport, any sport, as often as possible. Let’s take a look at what’s happening around the UK and what you can do to get involved. Let’s take a look at some of the major sporting events to keep tabs on this year as it’s often a great motivator for kids to watch their sporting idols in action. Throughout January, the AFC Asian Cup football tournament is taking place. Six Nations rugby kicks off in February and it’s the NFL Super Bowl soon after on February 3rd. In mid-March, the new season of Formula 1 begins where Lewis Hamilton will look to defend his title. April 28th sees the annual London Marathon. At the end of the football season, the UEFA Nations League finals take place where England take on the Netherlands. This year also marks the FIFA Women’s World Cup finals, too, starting on June 7th. July sees both Wimbledon and the Tour de France whilst The Ashes commences at the start of August. There’s lots of golf, hockey, athletics, boxing and other sports on offer throughout the year, too. Whether you’re a parent, coach, club member or teacher, identifying a child’s skills can help you in a lot of ways. As a parent, you can analyse the sport they most enjoy or have the most appetite for. As a coach, it means you can hone their abilities from a young age, allowing them to flourish and, if they desire, pursue a professional career in their chosen sport. Teachers and organisational institutes have adopted new rules to ensure children have the right level of daily exercise. Several schools ensure pupils walk or run at least a mile a day in the playground. The teacher often takes part and this level of encouragement is often seen as everyday fun, not a chore-like task. There are many funding options available to parents for their children to use high-quality sports facilities. Some sports such as football or running require little to no equipment to be able to train and take part. Other sports, such as swimming, snowboarding or tennis, require specialist equipment and—usually expensive—facilities. Yet with government backing and diligent charitable work both in the community and from larger charities, children have more access to these kinds of facilities than ever before. In essence, the more options children have of partaking in sport, the more chances they will do it. Some children simply don’t like sports, so it’s important they can try as many as possible to see if there are any which they enjoy. Whether you’re a parent, teacher, trainer, coach, manager, physio or a board member on a sports club or academy, it is imperative the emphasis always be on having fun. Statistics prove that if children enjoy something, they will be more compelled to continue it and thus more motivated to master it. Getting involved in charity work in your local area is a great place to start. Encouraging sport comes in many forms, from active participation to simply watching sport on TV, attending a sports match in person or even getting children to talk about their sporting idols. 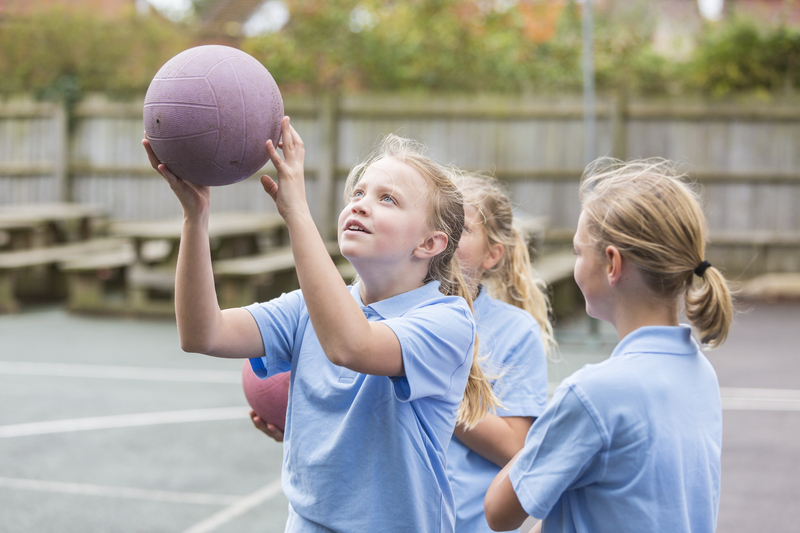 If you help children partake in sport in any capacity, you’ll probably require some form of insurance to ensure you are protected if an incident should occur. At Watkin Davies, we have considerable experience assisting those looking for such insurance. Contact our team to find out more on 02920 626 226.